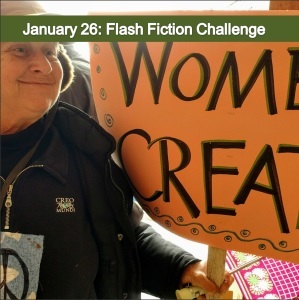 In 99 words (no more, no less) write a story using the theme, “women create.” It can be art, sewing, ideas, babies. What is at the heart of women as creators? Go where the prompt takes you. 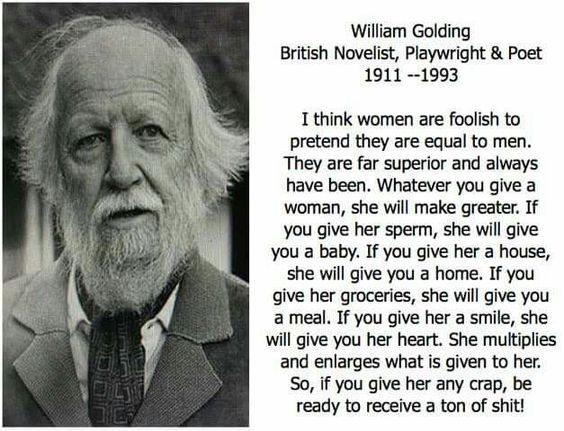 William Golding has already responded to this challenge as his quote below is 99 words! To me, this says it all in the true sense of Charli’s post, so I’m offering a little humour. he was due home in fifteen minutes. The scene was set for romance, candles burning seductively. A kiss on the cheek, and a cold beer in his hand, he sat. Wearing nothing but a smile and an apron, she lay the plate before him. In the flickering light it looked intriguing. He took a bite. Grimaced. Spat it out. She bolted like a scared rabbit. This entry was posted in blogging, Challenge, humour and tagged #flash fiction. Bookmark the permalink. I wish I had the confidence to serve thus attired…………. I enjoyed this Di…….most entertaining….